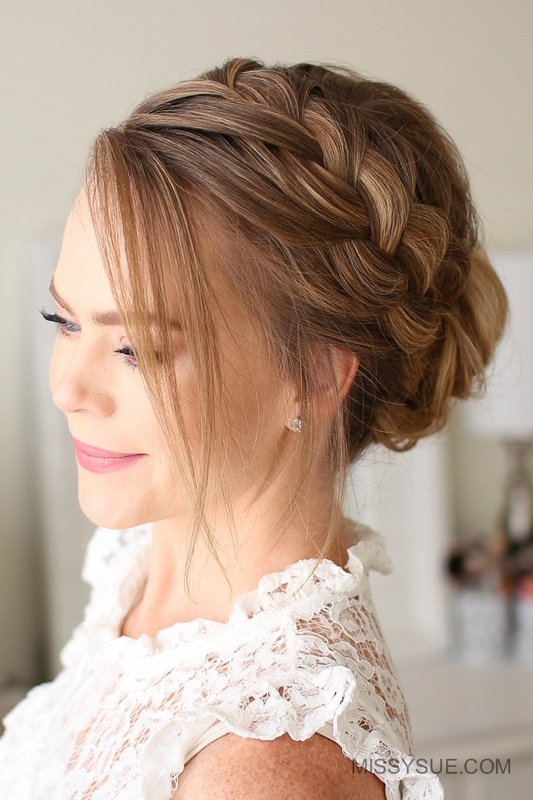 The french braid, pulled loose so it stands out combined with a low bun is a great style to have in your beauty routine. I love it for everyday but it’s also a great style for work at the office or out for a special event. 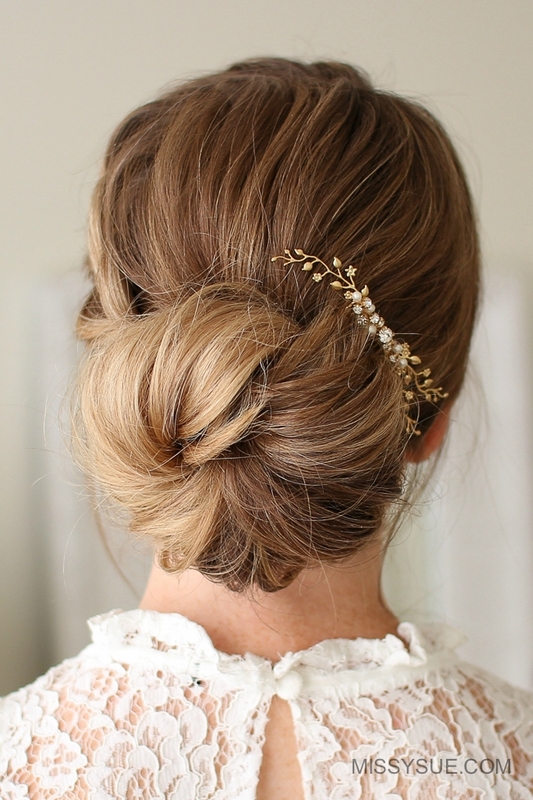 Pretty hair accessories are one of my weaknesses and I added a pretty gold wire hair comb to dress this one up a little bit. Let me know what you think in the comments down below! Step 2 / Pick up a small section for the braid and divide it into three pieces. Step 3 / Begin a french braid by crossing the right strand over the middle and then the left strand over the middle. Step 4 / Now cross the right strand over the middle along with a new section of hair. Step 5 / Then cross the left strand over the middle as well as a new section of hair. Step 6 / Continue the braid, crossing the side strands over the middle while bringing new sections into the braid and working down towards the ear. Step 7 / Once the braid reaches the ear, continue the braid a little further down and slide two bobby pins over the bottom. Step 8 / Next combine the remaining hair into a low ponytail and then add the braid in. Step 9 / Now go back over the braid and pull on the looped sections to make it wider. Step 10 / Then tie the hair into a ponytail with a hair band. Step 11 / Take the ponytail, twist it together, and wrap it around the hair band, pulling the ends through the middle and laying them around the inside of the bun. Step 12 / To secure the bun in place slide bobby pins around the outside of the bun until it feels nice and tight. Step 13 / Pull on small sections around the bun and spray them with hairspray to add texture. 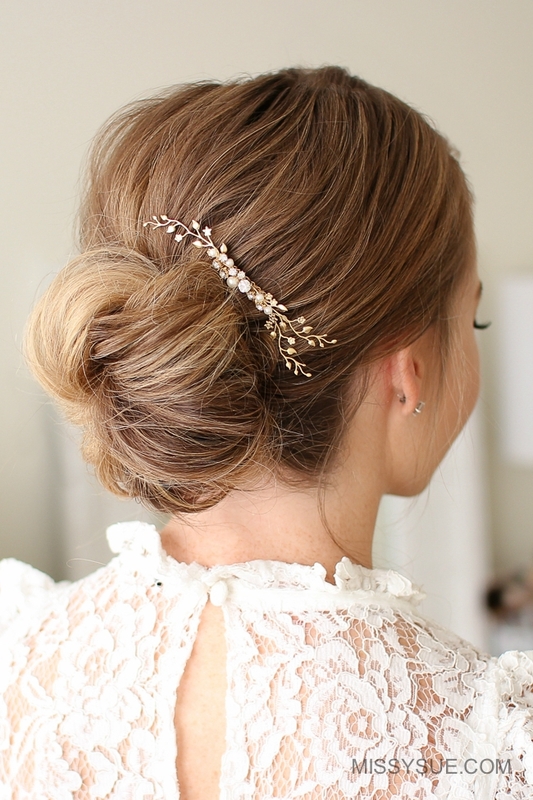 Step 14 / To finish off the style, slide a gold wire hair comb on the right side of the bun.